Gene-edited crops could be the environmental solution that humanity has been desperately looking for. But, will they go the way of GMOs? Will gene-edited crops face the same public backlash that GMOs struggle to overcome? Modern fruits and vegetables that we know and enjoy eating now look and taste a whole lot different than their wild ancestors. For example, take a look at Giovanni Stanchi’s 17th-century painting “Watermelons, peaches, pears and other fruit in a landscape”. Compared to the modern watermelon, the one depicted has much more seeds and less red flesh. Millennia of selective breeding helped turn what were once barely edible roots into the tastier and better-looking fruits and vegetables we know today. 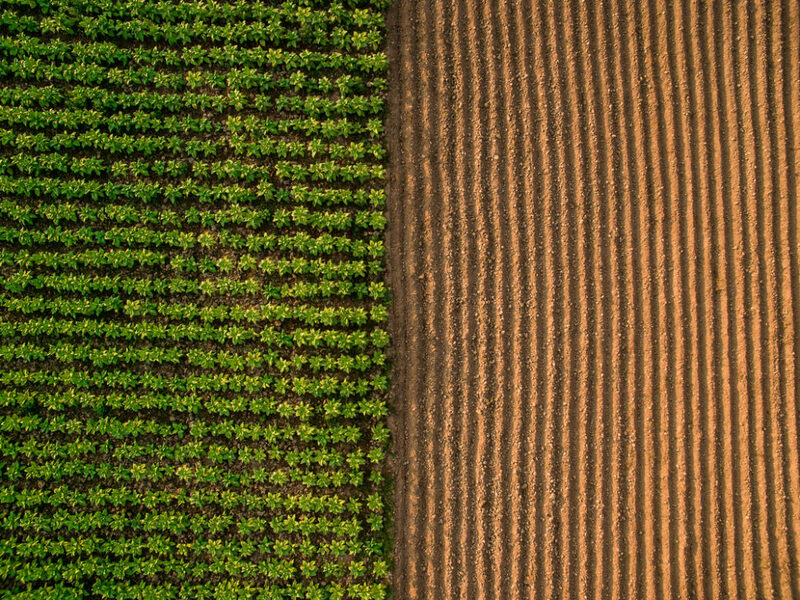 Modern technologies like biotechnology or gene-editing allow for more precise crop breeding to produce more food using less land, water, and energy. But sometimes people just have a hard time digesting some technological advances. Will Gene-Edited Crops go the way of GMOs? For example, in-vitro meat and other lab-grown foods are already a reality. Even if they solve many ethical issues, consumers hesitate on putting them on their tables. GMOs, or Genetically-Modified Organisms, have a bad reputation among the public that they can’t shed. There’s a wide 51-point gap between scientists’ and the public’s views on whether GM foods are safe to eat. These anti-GMO feelings can halt scientific progress and compromise the success of other genetic modification technologies, like gene-edited crops (GECs). Genetically modified organisms and gene-edited crops may sound similar. In fact, they do employ similar processes, but with one major difference. GMOs are crops, or animals, whose DNA has been altered using genetic engineering. This is done by transferring genes from other organisms in order to produce particular properties that they don’t possess naturally, like disease-resistance. Gene-edited crops (GECs) also have their genes modified. But, the process involves no foreign genes and only uses the organism’s native DNA. With the first gene-edited food products expected to hit grocery aisles by next year, what ensures that consumers will be there? Will they view gene-edited crops as GMOs in disguise? One of Calyxt’s commercial gene-edited crops is a heart-healthy soybean oil. Other biotech companies are readying their gene-edited crops for the market, like fiber-rich wheat, drought-tolerant corn, pollution-resistant rice, hornless dairy cows, and many other products. In an article published in the journal Nature Genetics, authors propose a regulatory framework for gene-edited crops. However, they insist on the need to impose regulations on the products, not the technology itself. “The potential benefits of GECs should not be impeded as a result of misinformation, so disclosure and education are the best ways to promote sound policies,” they said. Will gene-edited crops carry the same stigma as GMOs’?